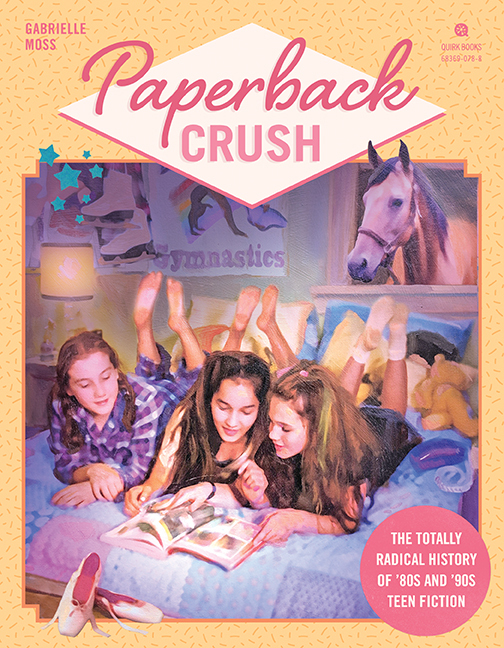 Paperback Crush’s subtitle is “The Totally Radical History of 80s and 90s Teen Fiction” and author Gabrielle Moss takes a fairly deep dive into the American books of those two decades. If you read the Babysitters Club, any of the Sweet Valley iterations or the revamped Nancy Drews, there’s something here for you. I was delighted to rediscover a couple of series’ I’d forgotten about – like the boarding school series which I read a few of in the school library and was never able to find again. This also covers some of the single titles and the notable authors – like Caroline B Cooney’s Face on the Milk Carton, and it’s sequels which I remember devouring as an early teen and then watching the TV movie of! This is an exclusively American book though, so if like me, you were a reader in the UK, some of your favourites and the series that you remember most won’t be here – there’s no Trebizon for example, which was one of the few “new” boarding school stories I remember reading. It’s also exclusively about girls fiction – so there’s no three investigators, or Hardy Boys – but it does touch on career books a little. My copy came via NetGalley, but Paperback Crush is out at the end of the month in the US and the UK – my suspicion is that you’ll need to order it in specially, rather than happen across it in the store. Here’s the link for Amazon paperback and Kindle pre-orders if you want to get your bids in early.